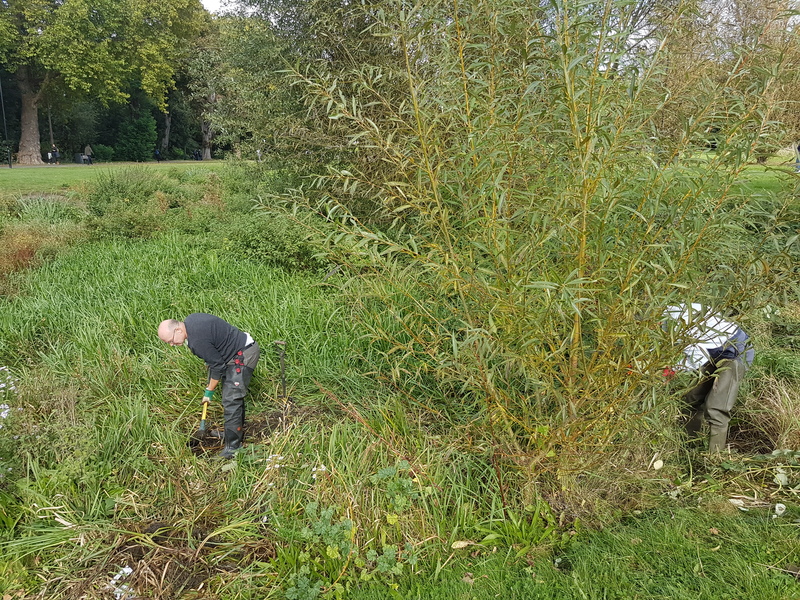 Volunteers have been clearing reeds from the backwater by the cafe at Ladywell Fields. We remove the reeds to maintain areas of open water for breeding. Species such as newts need these open water areas for mating. Of course, many of the reeds will be left to provide wildlife nesting areas and refuge for birds. This work needs to be done over the winter to minimise disturbance to wildlife and have the pond in top condition ready for next spring.